At 31 years of age, Billy Parisi has the education and experience of a seasoned chef. By the time he enrolled at the University of Missouri-Columbia in 2002, Parisi had already graduated from Arizona’s Scottsdale Culinary Institute—and logged several years as line cook, sous chef, and executive in some of the Midwest’s finest restaurants. Throughout his four years at Mizzou, Parisi continued to nurture his passion for food, bartending at local Columbia establishments and cooking alongside Executive Chef Daniel Pliska at the prestigious University Alumni Club. He and Pliska competed to win the title of “Iron Chef of Missouri” in 2004. 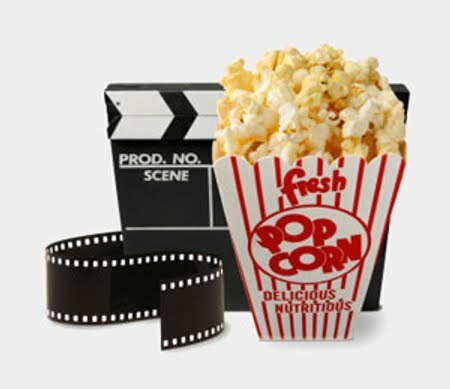 A Bachelors of Science in Communications / Video Production set the stage for Parisi’s roles as the faces of fixmyrecipe.com, Lowes Foods, Heinen’s Grocery Stores and Sears Holdings Corporations. Parisi has been featured on several national TV, radio and print mediums, including the Chicago Tribune, the Chicago Sun-Times, DIY network and Comcast On-Demand. Lee Greenwood is an ICON in country music, with more than 30 albums to his credit. In fact, MCA released an album in 2013 called ICON. “It Turns Me Inside Out”, “Ring On Her Finger Time on Her Hands”, ”She’s Lyin”, “I don’t Mind the Thorns if You’re the Rose”, “Dixie Road”, “Somebody’s Gonna Love You”, “Going Going Gone”, “You Got A Good Love Comin”, “Fools Gold”, and “Mornin Ride”. Several cross over hits include, “Touch & Go Crazy”, “IOU” and the duet with Barbara Mandrell, “To Me”. An additional duet with Suzie Boggus, “Hopelessly Yours”, was nominated for a Grammy. The CD “American Patriot”, recorded & released in 1992, went Platinum in 3 months. Greenwood’s latest CD is: "I Want to be in Your World". He wrote three of the seven songs & plays saxophone on the original track, “Here Comes Love There Goes My Heart”. He also covered the Michael McDonald/Kenny Loggins ballad, “You Can Let Go Now.” McDonald is featured playing piano on the song. Lee Greenwood has won numerous industry awards including, Male Vocalist of the year for the Academy of Country Music in 1983, two Male Vocalist of the Year awards from the Country Music Association, 1983 & 1984 and a Grammy for Top Male Vocal Performance in 1985 for “I.O.U.”. He also won CMA Song of the Year in 1985 for writing “God Bless the USA.” The song, “God Bless the USA” has been voted the most recognizable patriotic song in America. The singer knows first-hand what it’s like to have loved ones fighting for the freedom of all Americans as his father served in the Navy & the Merchant Marine in World War II. “USA” is now part of the film for Homeland Security shown when swearing in new citizens to the United States. “God Bless the USA” went far beyond what Greenwood expected when he wrote it in the back of his tour bus in 1983. The song has been in the top five on the country singles charts three times (1991, 2001 and 2003), giving it the distinction of being the only song in any genre of music to achieve that feat. It was also #1 on the pop charts after 9/11/01. In 2011, Beyonce offered her version of “God Bless the USA” as a download, with the proceeds going to the 9/11 firefighters fund in NYC. It has been performed by contestants on the Fox Network’s “American Idol” twice & was the winning song in the 2011 “Dancing with the Stars” competition on ABC. It is performed at all military and patriotic events throughout the year all across America. “USA” has also been in several movies. Greenwood performs for many charitable events and gives his time & name to numerous organizations and fundraisers. He is the National spokesperson for “Products for Good”, the Honor 1 Campaign, and on the advisory board of the “Challenger Commission”. The singer is also a member of the National Endowment for the Arts Council, a Presidential appointment. Music has always been a part of Greenwood’s life. He started playing the piano when he was seven and the saxophone at 12. In junior high, he started his first group called the Moonbeams. His sister Patricia was the piano player in the band. By the time, he finished High School he played most all the instruments in the orchestra and was the Drum Major for the marching band. Greenwood was born in Los Angeles California & finished high school in Sacramento in June 1960. He passed on track & music scholarships to the College of the Pacific along with a professional baseball career to pursue his passion for music. He also elected to skip his high school graduation ceremony to begin work at the Golden Hotel & Casino in Reno Nevada with his own band, the “Apollos”. That turned out to be a great choice. The California native was discovered in 1979 by Larry McFaden, who saw him performing in a show at the Nugget Casino in Sparks, Nevada. Larry was the bass player and bandleader for Mel Tillis. He brought the singer to Nashville and got him signed to the Halsey Agency, who booked the Oak Ridge Boys. He began working with producer Jerry Crutchfield who would record with Lee for the next 20 years. “Choosing songs to record is always exciting,” says Greenwood. “I’m a songwriter as well and I love lyrics that have depth and emotion. I’m thankful for the many writers & artists who have contributed to my career”. Lee and his wife, Kimberly, a former Miss Tennessee, fell in love on his 1989 USO/DOD tour. They were married in Nashville in 1992 and have two sons, Dalton and Parker. Greenwood has also released a book in 2012, "Does God Still Bless the USA". 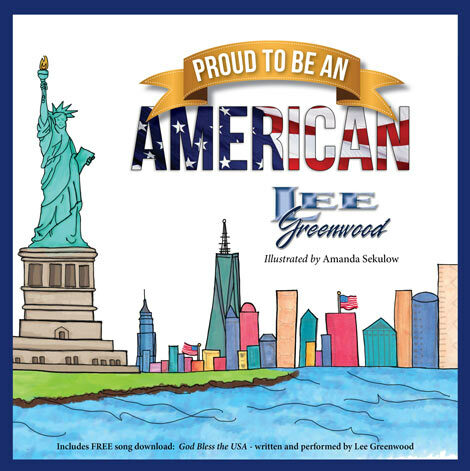 It features a 30 day calendar, “Prayers of a Patriot” and includes two songs, written by Greenwood, free for download in the back of the book. One is a new version of “God Bless the USA” and the other is a Praise & Worship song, “Show me the Way”. The 35th-annual “A Capitol Fourth” will air on PBS on Saturday, July 4th, from 8:00 to 9:30 p.m. Eastern. The 2015 edition of “A Capitol Fourth” will kick off the country’s 239th birthday with an extravaganza that puts viewers front-and-center for the greatest display of fireworks in the nation. Bradley Whitford will host the show—while Barry Manilow will open and close the program with a special patriotic medley. Broadcast live from the West Lawn of the U.S. Capitol, “A Capitol Fourth” this year will also feature performances by: Alabama; Nicole Scherzinger; Hunter Hayes; Meghan Linsey; KC and the Sunshine Band; Lang Lang; and Ronan Tynan—with the National Symphony Orchestra, under the direction of Jack Everly. In addition, Robert Davi will pay tribute to Frank Sinatra—in celebration of his 100th birthday. KC and The Sunshine Band aims to serve a single purpose: to create instant happiness through music. For over 40 years the group has done just that, topping the charts with seven No. 1 singles and three triple platinum albums, winning three Grammy® Awards, including Album of the Year for the Saturday Night Fever soundtrack, an American Music Award, and becoming the first act since The Beatles to score four No. 1 pop singles in one 12-month period in 1976. KC and The Sunshine Band’s unique meeting of Caribbean, pop, R&B and Latin inspired infectious grooves and their distinctive Sunshine Sound, impacting the world over and teaching them how to boogie. The band’s infectious sound has given life to countless ad campaigns, and over 200 TV commercials, movie soundtracks, TV shows and video games, including the BBC’s Strictly Come Dancing in 2014 and KINGSMAN: The Secret Service in 2015. In 2001, KC was honored with the National Association of Recording Arts and Sciences Governor’s Award, the highest honor given by a chapter of the Academy. With a new album, Feeling You! The 60s available on iTunes, Amazon and in stores nationwide in 2015, KC and The Sunshine Band continues to create music that spans many generations. The band has defined dance music and forever influenced music with its timeless sound and mission of getting people out of their seats to celebrate, which is still being fulfilled today.